The movie Edge of Tomorrow may be getting a sequel soon. Edge of Tomorrow (also known as "Live. Die. Repeat") is a movie starring Tom Cruise and Emily Blunt about a guy getting caught fighting in an alien war over and over again. The story is set in the future when aliens, known as "Mimics", invade the planet and are decimating the Earth's defenses. A low-level pencil pusher, played by Cruise, gets killed on an alien battlefield and wakes up every morning to fight and die again. He meets a soldier, played by Emily Blunt, that helps him become a fighting force and the two work to uncover the cause of his death and continual rebirth. Kind of like Groundhog's Day with more killing. The script is adapted from the 2004 Japanese light novel All You Need Is Kill by Hiroshi Sakurazaka. Director Doug Liman's 2014 sci-fi action film starring Tom Cruise was a box office hit for Warner Bros.—$370.5 million worldwide—and was critically acclaimed. So talk of a sequel was inevitable. Liman, stars Tom Cruise and Emily Blunt, and writer Christopher McQuarrie all said they'd like to do a sequel. Last October there were reports that an initial draft of the Edge of Tomorrow sequel script had finally been completed, but scheduling issues were pushing the film's production start date to 2019 or beyond. So, it's closer than we thought and could be coming in late 2019. That's awesome because the movie had mind-blowing action and incredible special effects. A sequel to an original film like this is long overdue. 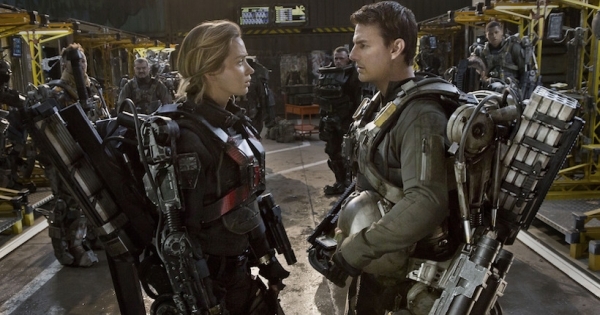 What do you think about a sequel to Edge of Tomorrow?